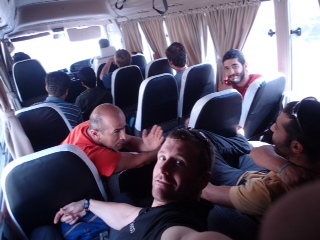 Broad Peak 2013 update - Heading to C1! 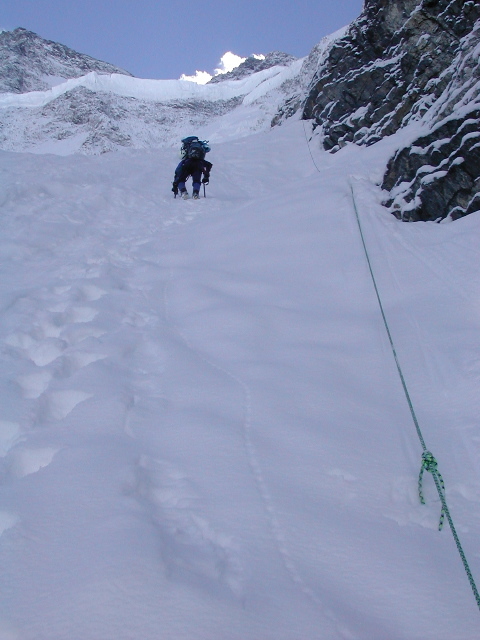 FTA Broad Peak 2013 - Climb under way! 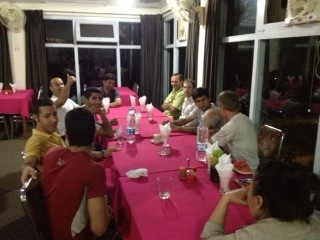 Our team is enjoying a rest day after arriving at base camp and will begin the climb in earnest tomorrow. They have had some rain today and are hopeful for better weather and better views shortly.The first few days will include walks to the base of the hill and load carrying to C1 at about 5800m. Everyone is well but for a few bellies still adjusting to the local flora and fauna! 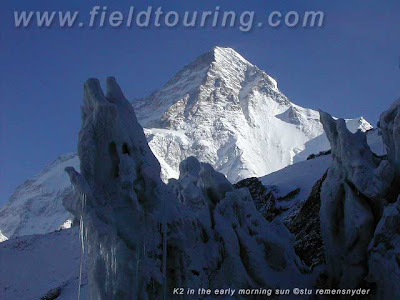 They will be working on establishing Camp 1 at near 5800m over the next few days and will have great views of K2 from the lower slopes of the climb as they go. C1 is perched in a small and airy spot and there are not a lot of spaces for tents so in some years we establish a lower camp at about 5300m. 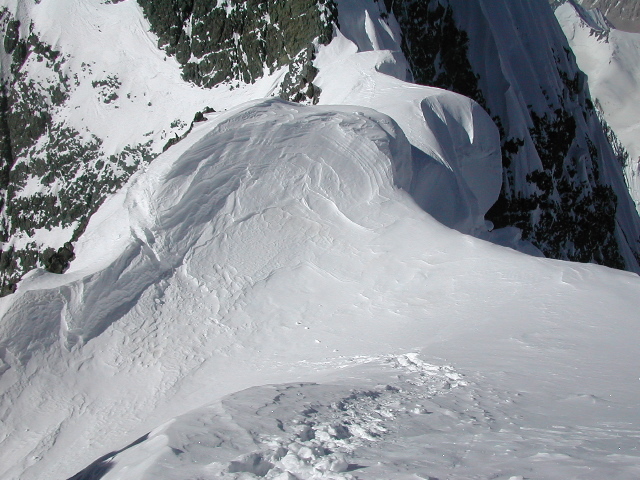 This lower camp is not preferred is more exposed to avalanches so must be used with caution. 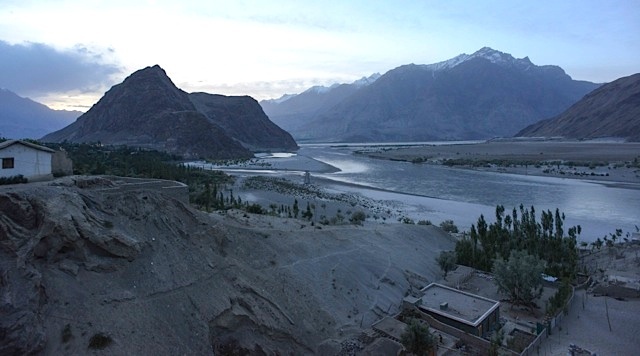 The views from C1 are spectacular and it is quite amazing to see how smooth the Baltoro looks from high up after having scrambled and wended one's way over and through it for many days. 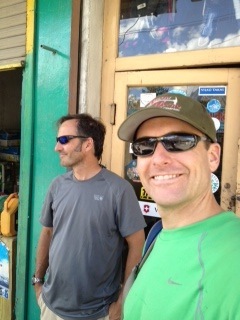 Our team is enjoying the trek to BC and everyone is doing well. They have had some hot but clear days and enjoyed views of the peaks along the way. 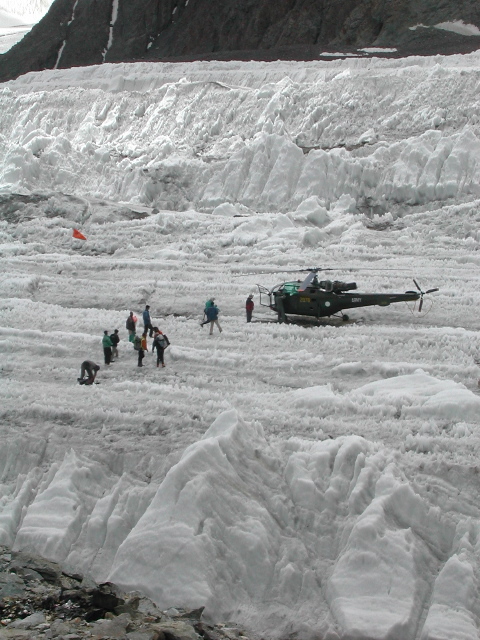 They will be pulling into base camp in the next few days and we look forward to having an update from them when they are settled in. We have no word on the impact of the events in the Nanga Parbat region on any groups in the Baltoro region but to this point there has been none and treks and climbs already under way are proceeding as planned. Decisions are still being made that could affect us and we will simply have to wait and see. Arrival at an 8000m base camp in the Karakoram is quite unlike the treks to any other place on the planet. The glacial avenue on which they walk is bordered by an extraordinary array of peaks from small to tall and from rocky and jagged to snow adorned. 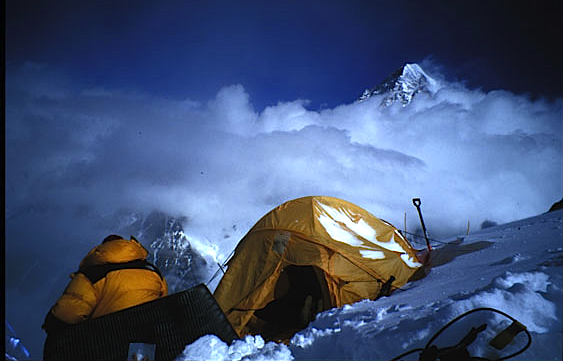 By the time they are ensconced in their tents at base camp they will have walked through a century of climbing tales, which have been retold in journals, books and film, and have an understanding of these stories that one can only appreciate fully in person. On arrival at Concordia one can imagine the first expedition to reach there in 1892 being just as awestruck by the density of immense peaks soaring up some 4000m/13000ft above you. Looking left, from Concordia, you see the pyramid of K2 nearly the same as it looked to Aleister Crowley and his crew who tackled its northeast ridge in 1902. Turning to your right and seeing the airy crest of Chogalisa, it is hard to imagine that the Duke of Abruzzi made it to within just 150m of the top after having already spent many weeks working on the ridge which bears his name on K2. 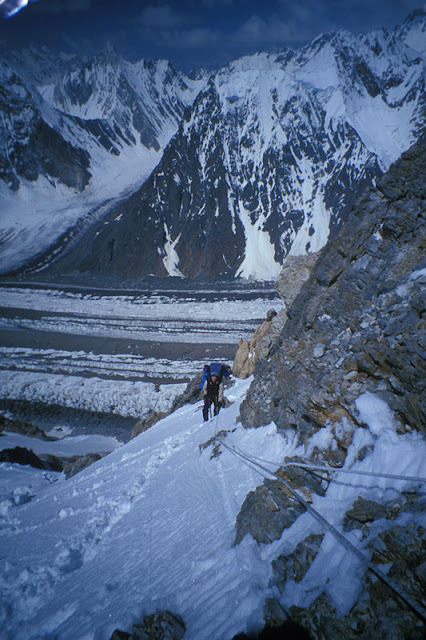 Straight ahead of you is Gasherbrum IV which remains still one of the most demanding climbs in the world. It lacks but a few meters to have been included in the 8000m club, but this did not stop Walter Bonatti from finding its top in 1958. Situated in-between K2 and Gasherbrum IV lies our objective, Broad Peak. 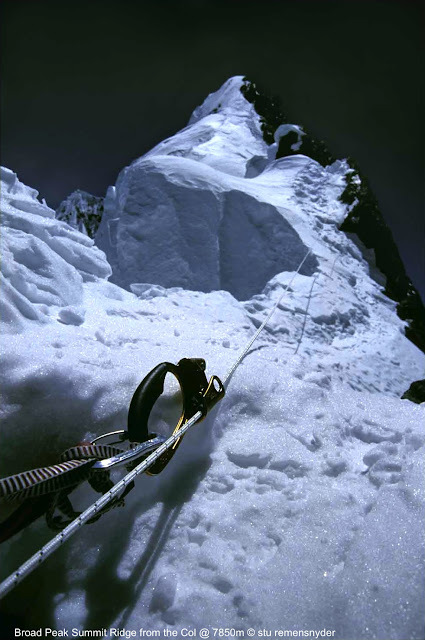 The 12th highest peak on the planet and first summited by Markus Schmuck and his team in 1957. 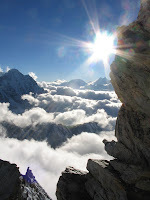 In a few days our team hopes to set foot on this very peak and follow in their footsteps! Our team is on their 4th day of trekking to base camp and they are safe and sound in Paiju at this time and at this time plan to continue on to BC. They were deeply saddened to hear of the events which took place in Nanga Parbat BC earlier today and express their sympathies for all of the families and friends affected. 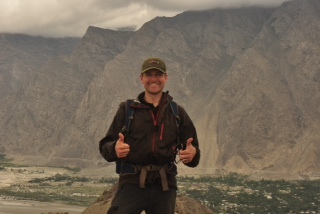 We will have more word tomorrow about movement in general in Pakistan and on the K2 trek in specific. 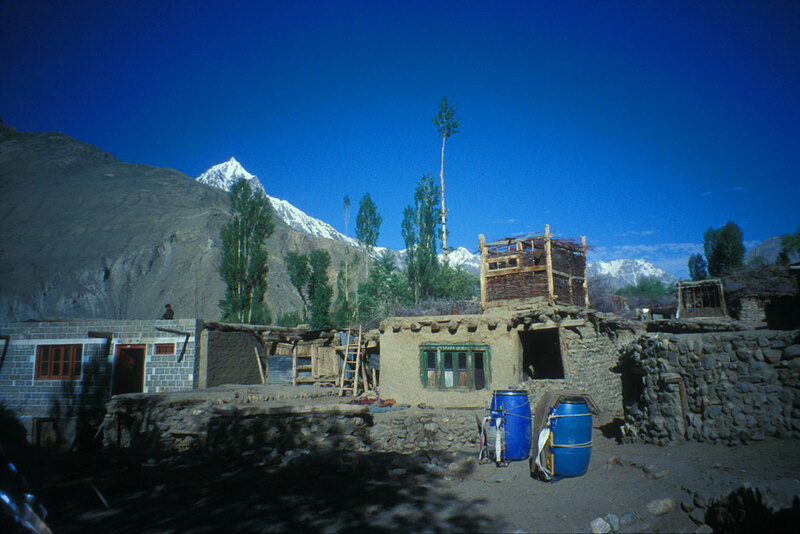 At this time new teams are not moving up the Karakoram from Islamabad but this may change in the days ahead as the situation becomes more clear. 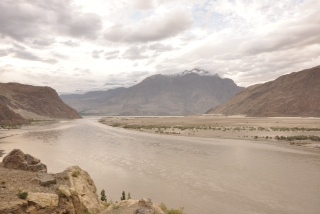 Teams in the Baltoro region are continuing on at this time but again this may change in the days ahead. 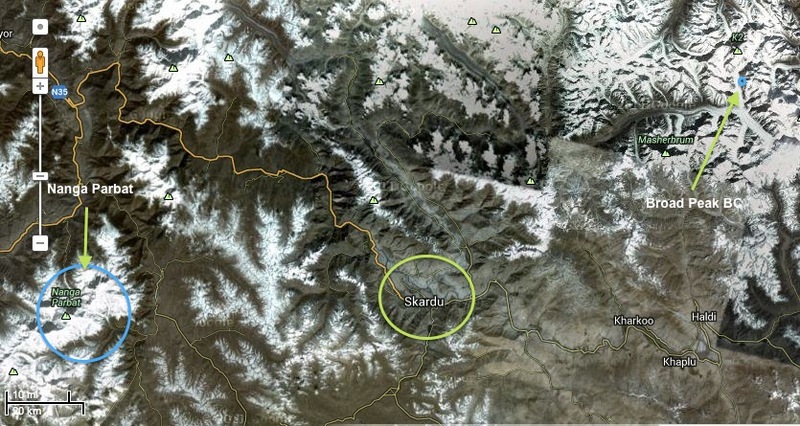 It appears that teams in the Nanga Parbat area are being evacuated, according to the BBC, though many climbers were high on the hill at the time. As most offices and ministries were closed today we will all await official word on what is to become of climbers and trekkers on their way in or those already in the mountains. We have seen the many reports around the internet but it is premature to speculate on what will happen from here. The embassies and consulates, Pakistani government, police and military all have a say in the next steps and we will be in communication with staff on the ground to be sure we are up to date on the situation. There are no words that will begin to convey the sense of shared loss that we have for the people directly and indirectly affected by the tragic and brutal loss of life in Nanga Parbat BC. We extend our thoughts and prayers to all involved and hope that some sense can be made of this in the days ahead. We will update again tomorrow when we have more information. 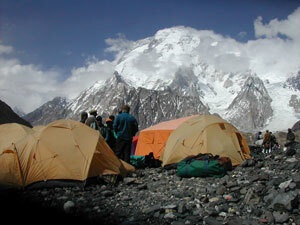 Broad Peak 2013 - trek underway at last! En route to base camp finally! 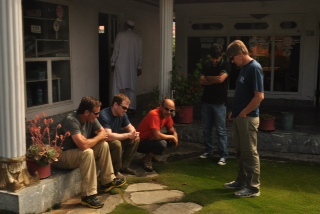 Our team got off yesterday after well too many days waiting in Skardu for the military authorities to clear members of not only our team but several others. 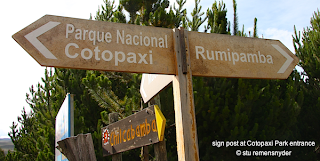 They are under way with trekking permits at this time so that they cannot lose precious days of acclimatization and the climbing permit is being confirmed shortly. 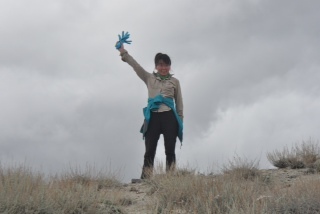 Our team is headed off to Askole tomorrow after a bureacratic delay due to the permitting process. A process which seems to a new challenge each year and one that requires patience and a willingness to accept the inevitable challenges of climbing in a military zone. I wrote a year ago about the process and commented on the fact that unlike many for countries, to climb in Pakistan is not something one can decide a few days ahead, get a flight, pack your gear and go. There are many weeks and often months worth of documentation, emails, visits to embassies and ministries and even then small things that need to be worked out on a personal level in Pakistan. Shortly they will be off in 4x4's and headed for the trail head and all of the paperwork will be left behind! In the meantime they have enjoyed a few nice days of the past days including walks about town, hikes in the nearby hills and are all feeling well and gaining acclimatization to 2500m/8,200ft. Scott sent in a few images of their days and we hope you enjoy! Scott at his day hike high point! at the ministry waiting, waiting waiting! 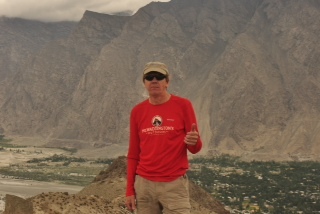 Broad Peak 2013 - Skardu! The team arrived late yesterday afternoon and after a good sleep had a very busy day today which included gear checks, shopping, packing and repacking. Among the many things they have done today are setting up tents and checking them to be sure they are in good shape, sending out for repairs those that need a little TLC, testing stoves and fuel to make sure there will be no flareups on the hill, checking and testing the emergency oxygen systems, replenishing the med kit and checking over the repair kit, setting up the solar panels and charging up the Sherpa 50, picking up batteries and spare toilet paper, selecting a few dynamic climbing ropes and route fixing gear, and meeting the military liason officer (LO) who will be joining our team to base camp (and maybe up onto the hill). Broad Peak 2013 under way! 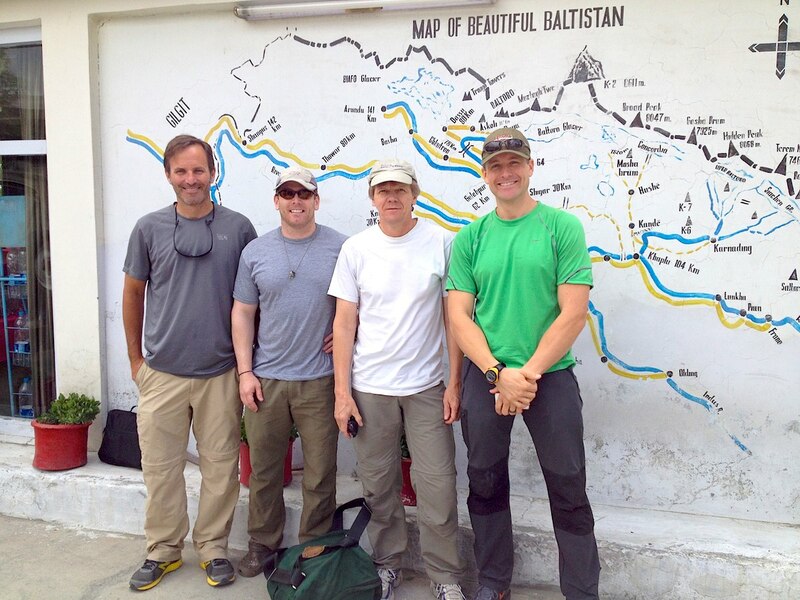 Our Broad Peak team has assembled over the last few days in blistering hot ( 43°C /110°F ) Islamabad. 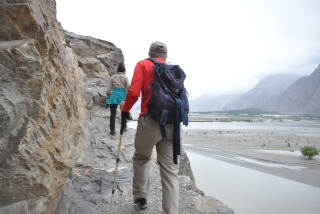 After a few days of visits to ministries for visa extensions, trips back to the airport for delayed luggage, and a little sightseeing, they have headed for the cooler climes of Skardu at 2200m/7300ft. This summer we already have Broad Peak, Spantik and K2 treks in the works and are looking for a few more great members for each trip. This will be the 10th anniversary of our first 8000m peak summit which was on Broad Peak in 2003 by member Alex Txicon. Alex has gone on to become a very experienced and successful 8000m climber with summits on nine 8000m peaks and just knocked off the first winter ascent of Leila Peak! 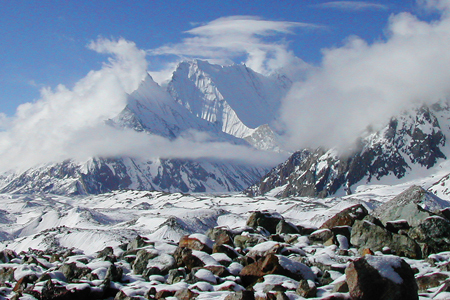 Everyone has to start somewhere and we hope you will start with us on Broad Peak! We have been to Spantik on a regular basis over the last 10 years and always look forward to getting back to the 8km long ridge on this fantastic 7000m peak. This is a trip that is suitable for climbers with relatively little technical experience but one that will challenge even seasoned climbers with its altitude, cold and demanding summit day. In the autumn we have our 10th year in a row planned on Ama Dablam in November and we know of no other western companies that have run 10 straight years on the 6865m peak. We will be running a concurrent Everest base camp trek so family and friends can join you as you make your way to the peak and meet you when you are done to celebrate with a yak sizzler in Namche! 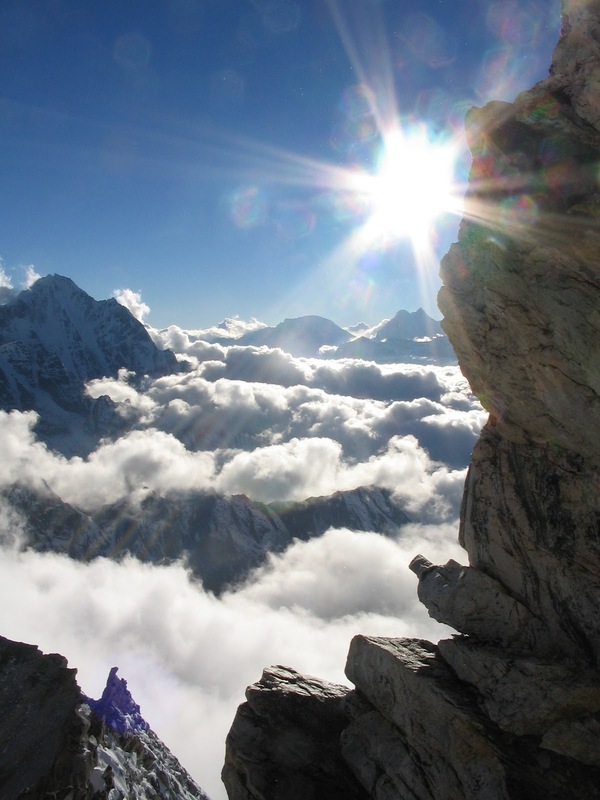 For intrepid trekkers or for those looking for a less technical expedition we offer the Island Peak option during the Everest base camp trek or a complete set of moderate peaks in one trip with our Khumbu Peaks and Passes which we are looking forward to running for our third straight year in October. 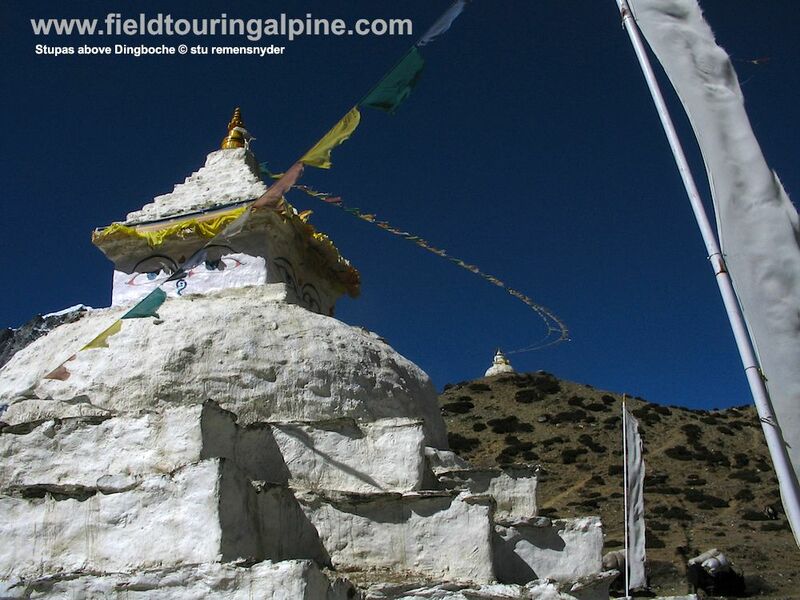 Both trips have trekking-only components for family and friends who just want to enjoy the high mountain air but not the steep slopes! An often forgotten peak that is worth the attention is Tharpu Chuli (or "Tent Peak") which lies in the center of the Annapurna Sanctuary. 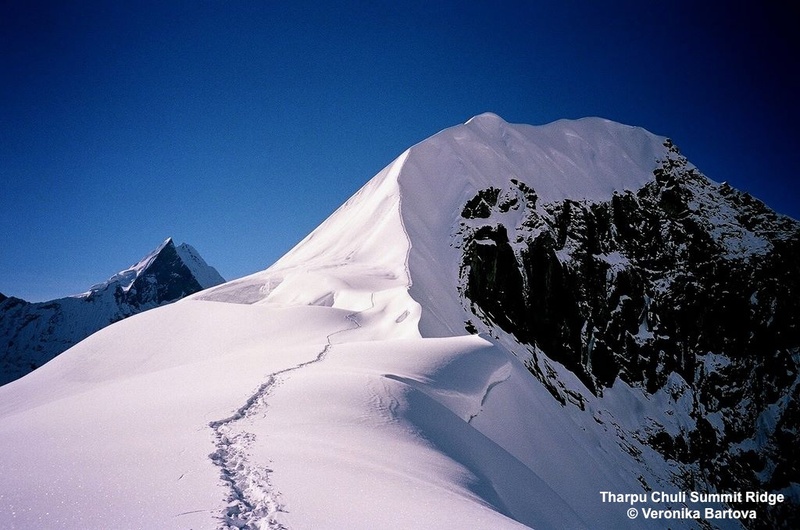 This shark's fin of a peak rises up to just under 6000m and blesses any climber with extraordinary views of Annapurna's southwest face as well as an amazing 360° view of the massif which includes Machapucharre, Annapurna IV, Singhu Chuli and much more. In 2013 and 2014 we have an array of trips to countries around the world including Nepal India, Ecuador, Aconcagua, Kilimanjaro. We have a trips for trekkers and climbers of all abilities so we can be sure to find one that fits your challenge and adventure level. Enjoy looking through our list of trips and let us know how we can help you to have your dream trip!